At the Book Club Guide, we believe there is nothing better than an amazing book. When you find a great book, you want to share it, talk about it and really understand it - and that's exactly what book clubs are for! They're about people getting together, having fun and taking the time to discuss and think about books. These days, you can find them down your street or even online. Whether you're looking to find (or start) a book group in your neighborhood, explore different types of reading clubs, or even find recommendations for great books through an online book-buying club, you'll find it here. Enjoy exploring our website, and let your reading adventure begin. What is a book club? A blog with the latest news on book clubs from the Book-Club-Guide.com, the authority on book recommendations, book group tips, discussion questions and discount book services. Are you wondering: what is a book club? We explain the basics, and point you to more resources to get you started. Discover the different ways you can find a book club that's right for you. Looking for that next great read for your book club? View our current list of book club recommendations. Discover book club reading lists, great selections for your reading group or to read on your own. Here are some great book club discussion questions to get you started. Tips for finding or starting a free book club, along with strategies for finding low-cost or no-cost books. Find out exactly how mail order book clubs work, and learn more about joining online discount book clubs. Learn about the different types of monthly book clubs available for adults, children and kids and find out what's involved with joining these types of book clubs. Information about African American book clubs including reading suggestions and tips for getting started. Learn about childrens book clubs and discover book recommendations for kids. Enter a different world with a Sci Fi Book Club and learn about discount online sci fi reading clubs. Blend faith, fellowship and your love of reading into one with a Christian book club. Battles and warfare come alive in military book clubs. 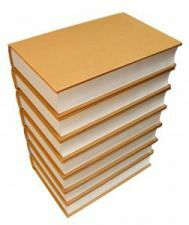 Discover book recommendations, discussion questions, and information on discount online book services. Learn how to start, run or join a history book club and discover recommendations for outstanding history books. Learn about the many types of book clubs that will meet your reading interests, including mystery, military, history, fantasy, sci fi, romance and everything in between! View the complete Oprahs Book Club List for 2009, which features the moving collection of short stories by Uwem Akpan, "Say You're One of Them". Would you like to share your knowledge about book club? Great, find out how you can submit your story or tip here.